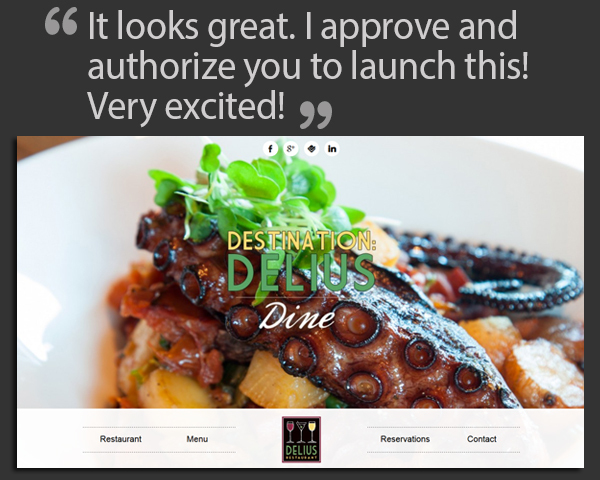 Delius Restaurant – Website Design & Development | ASTRALCOM - Content Strategy, Conversion Marketing and Customer Acquisition. Delius Restaurant – Website Design & Development | ASTRALCOM – Content Strategy, Conversion Marketing and Customer Acquisition. Delius Restaurant is well-known for its extensive, international wine collection, sumptuous fare and central location. But Delius is more than just a restaurant. We channeled the personal histories of the owners and their backgrounds in hospitality, tourism and culinary arts to create ‘Destination Delius’ and the ‘Drink. Dine. Discover.’ components of the website. Then we packed in calendaring and event functions, menus, videos and structured that all around a proper navigation and content hierarchy. Read more about this project in this post. Get the website design and functionality you want. Give us a call at 800.536.6637 or contact us to start a web design conversation.